Executives from both Meizu and Xiaomi have been using their Weibo pages to push out information about their upcoming handsets. While the former has been promoting the Meizu Pro 5, Xiaomi has been revealing information about the Xiaomi Mi 4c. Today, Xiami co-founder and president Li Nan, and Chairman and co-founder Lei Jun, both added some more information about the phone. First, there will be new packaging for the handset, switching from a plain non-descript box to a more colorful combination of orange and white. Additionally, the dual SIM/dual standby capabilities on the new model will include dual 4G connectivity. On the Chinese version of the Xiaomi Mi 4i, one of the dual SIM cards supported 2G, while the other supported 4G. With the Mi 4c, both SIM slots will offer 4G LTE connectivity. Like some other Android models, the Xiaomi Mi 4c can be awoken with a double tap to the screen. If the screen is on and you want to put it to sleep, a double tap will also take care of that. And lastly, co-founder and Chairman Lei Jun has confirmed that the handset will be powered by the Snapdragon 808 SoC. That means it will offer a hexa-core CPU and the Adreno 418 GPU. The executive added that the phone will have improved connectivity and will download 20% faster than previous models. The rest of the rumored specs include a 5-inch, 1080 x 1920 resolution screen. That works out to a 441ppi pixel density. There will be a version with 2GB of RAM and 16GB of internal storage, a version with 3GB of RAM and 32GB of native memory, and a third option with 3GB of RAM and 64GB of internal storage. A 13MP rear-facing camera is on board along with a 5MP front-facing snapper, and a 3080mAh battery keeps the pistons pumping. Android 5.1 is pre-installed with MIUI 7 running on top. One rumored feature not mentioned by either executive is an infrared port. This is reportedly going to be a security feature on the new handset. If it is really coming to the Mi 4c, we are sure to hear a lot about it when the phone is unveiled on September 22nd. We expect the unit to launch on October 3rd. The only guidance we can give you on pricing (at least until the 22nd, or another leak comes in) is that the 3GB of RAM/32GB native storage model will be tagged at $235 USD. What we really would like to know is why there are only 100,000 units being produced. Already too much of these craps. Who is even buying them. So.... If you are not interested with it, why are you posting at here and reading the article then? No way! It's one of the very few 5-inchers with small bezels and solid specs on the market. Agree with you. 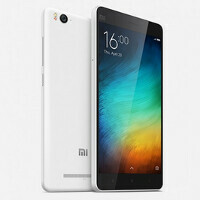 But there's already the 5.5" version of xiaomi device, called XiaoMi Note. The latest one (XiaoMi Note 2) come with MediaTek Helio X10, which is way faster than SD 615, but a bit slower than this SD 808. Have an infra red port for remote, and less than US$200. Sounds Like A Sold Phone. If The Battery Life Is Good I Suspect It Will Be. It won't be because of power hungry processor and poor optimization. Officially? Of course not. They're breaking too many patents. What patents? You mean apple will sue them because their android skin looks like apple iOS? 5.0 1080p display and 3080mAh battery? If properly optimized, Xiaomi got a winner. "Properly optimized" Xiaomi? Never happened. MIUI is smooth but the optimization is way below average. SD808 is a power hog as well. It's going to have mediocre battery life at most. minor mistake but for the record, I'm pretty sure there are no Chinese version of the Mi 4i. the Mi 4c is the chinese version of the 4i.... "On the Chinese version of the Xiaomi Mi 4i, one of the dual SIM cards supported 2G, while the other supported 4G. With the Mi 4c, both SIM slots will offer 4G LTE connectivity." By the chinese version of mi4i he means the mi4i that launched in china had a 2g and a 4g sim slot Unlike the internationally released one. Let's wait and see whether there is a infrared port as security feature. Most likely, it is a translation error and it has infrared light for example to control the TV. There also won't be only 100000 units on sale in total of the mi4c as mentioned on this site before several times. Also a translation error of the original soure. Agree with you. +1 Translating chinese to english sometimes result in funny words.